Every time I have to make as mundane a choice as what type of toothpaste I should buy, I’m overwhelmed and momentarily freeze with panic. Even in Thailand, my local grocery store or Tesco Lotus has at least a few dozen different combinations of brands, flavors, and types of toothpaste. Citrus, citrus-herb, salt-herb, mint, cool mint, bright mint, gel, paste, fluoride, whitening, stain-removal, super-whitening, etc. The mind spins at such options. You can imagine my fascination then to listen to a talk by Sheena Iyengar at a TED conference about the art of choosing and cultural bias in beliefs about choice. Ms. Iyengar is a professor at Columbia Business School whose research focuses on choice and how people choose. More options lead to better choices. Never say “no” to choice. I’m embedding the speech here, which is worth the 22 minutes of your time it will take to watch. But for those of you who cannot watch the video or do not wish to take the time, I’ll summarize her observations. My own conclusions are all the way at the bottom. If a choice affects you, then you should be the one to make it. This is captured in the American concept of “being true to yourself.” Ms. Iyengar and a colleague performed studies to test this assumption. In one study, she brought 7 to 9 year old Anglo-American and first generation Asian-Americans into the laboratory, dividing them into groups. The first group was given a choice of six sets of word puzzles to complete and also a choice in the color of pen with which to complete the puzzles. The second group was show the same six sets, but “Ms. Smith” told them which set they would perform and which pen color they would use. The third group was shown the same six sets, but Ms. Smith told them their mothers had chosen which puzzles and color of markers they would use. In reality, the second and third groups performed the same set of puzzles and used the same pen color the first group had chosen. The results differed markedly depending on how the activity was administered. Anglo-American children in the first group completed two and a half times as many word puzzles as in the second and third groups. It didn’t matter who did the choosing – Ms. Smith or their mother – if their task was chosen by another person, their performance suffered. 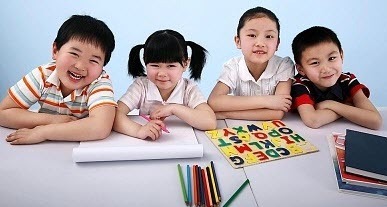 In contrast, Asian-American children performed best when they believed the task had been chosen by their mother, second best when they chose for themselves, and worst when Ms. Smith chose their task and pen color. Ms. Iyengar’s conclusion is that the first-generation Asian-American children were strongly influenced by their immigrant parents’ approach to choice. Choice was not just a way of defining and asserting themselves, it was also a way to create community by deferring to the choices of those whom they trusted and respected. The assumption that we do best when the individual self chooses, only holds when that “self” is clearly divided from others. If the individuals see their choices as intimately connected, they may amplify one-another’s success by turning choosing into a collective act. Ms. Iyengar traveled to locations in Eastern Europe where people had had to adjust to the transition from a communist to capitalist society. She discovered that many of the perceptions Americans have of choice are often trivial (my choices of toothpaste, for example). She stumbled upon this when offering interview subjects a choice of beverages before the interview – seven different types of soda – only to discover that to the interview subjects, she wasn’t offering seven different options but only one: soda. If she offered juice, water, and the seven brands of soda and she asked how many choices they had, they uniformly identified three choices. 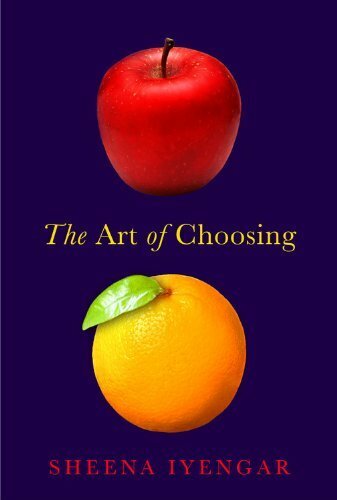 Ultimately, too much choice can lead to “suffocation by meaningless minutiae.” Ms. Iyengar has observed in her studies that when people are given more than ten choices, they generally make poorer choices. And yet many Americans believe they should make all their own choices and seek out more of them. Ms. Iyengar interviewed parents whose infants had developed cerebral anoxia (a loss of oxygen to the brain) and had to be placed on a ventilator. The decision had been made to remove the infant from the machine, letting it die within a few hours, instead of keeping the infant on the machine in a permanent vegetative state. Ms. Iyengar interviewed parents in France and in the United States in the months following their infant’s removal from the life support machine and subsequent death. The difference was that in France, the decision to remove life support had been made by doctors whereas in the United States, the parents made the final decision. Yet, when American parents were asked if they would rather have had the doctor made the decision, they said no. Some 75% of them couldn’t imagine turning that choice over to someone else, despite the negative repercussions of having had to make that choice themselves. Among French parents, only about 33% of them indicated they would rather have made the choice instead of the doctor. *I’m estimating percentages based on the graphs. In her speech, Ms. Iyengar doesn’t provide specific numbers. “The story Americans tell, the story upon which the American dream depends, is the story of limitless choice. This narrative promises so much: freedom, happiness, success. It lays the world at your feet and says, ‘you can have anything, everything.’ It’s a great story and it’s understandable why they would be reluctant to revise it. But when you take a close look, you start to see the holes and you start to see that the story can be told in many other ways. For me, this speech was thought-provoking, a reminder of something I know experientially to be true but which slips to the back of my mind all too often: There is no single right way of looking at the world. Our values and frame of reference through which we see the world are tremendously dependent upon our culture, background, experiences, and upbringing. The fact there is no single right way is the source of so much conflict and miscommunication in the world. If we really want to understand other people in this world, we have to check our assumptions and be prepared to see the world in radically different ways. That’s much easier to say than it is to do. This entry was posted in Uncategorized and tagged art, Choice, Choosing, Communication, culture, Iyengar, Research, Sheena by christao408. Bookmark the permalink. This is interesting. It’s 5:30 in the morning and I’m up with a sick kid but I will come back and watch the interview and leave a more thoughtful comment. I love the TED talks. Some of them are goofy but they’re nearly always interesting. @ordinarybutloud – I’ll tell you, I’ve found any number of talks that left me thinking. Can’t say that about most sitcoms! I hope your child feels better soon. Thought provoking is the least that can be said about the presentation. From the companies point of view, the more different products they produce the better chance to chase the competition away. A company will contract with a store to present all their products and they will receive a healthy discount. So more and carried products are presented to the store and shelf space must be give as in the contract. So the competition looses space. I think too many choices in some contexts can have a negative affect. It’s so situation specific I can’t begin to generalize. Thanks for sharing. Definitely very interesting. I like how the choices become lifestyle. I heard a TED talk that went a little the opposite way…it was about spaghetti sauce and the marketing research that led to a profusion of different types of spaghetti sauce in the grocery stores. Apparently in the middle of the last century there was only one type of canned spaghetti sauce: a thin marinara. Investigation led to the discovery that people are interested in several different qualities of spaghetti sauce, and like different things about it, sweet v. spicy or sour, chunky v. smooth, cheesy v. plain. I tried to find it for you but there is a bewildering choice of TED talks available online.Oh, and if sitcoms are your standard for thought-provoking you’re bound to find a whole world full of more interesting things. @ordinarybutloud – So we have to find that sweet spot between enough choices but not too many choices. I have to say, I’m never overwhelmed at the pasta sauce aisle. Any given brand only offers me a half-dozen choices (well below Ms. Iyengar’s magic number of ten, after which decision quality suffers). But toothpaste types are crazy. Colgate alone must have at least a dozen different types of toothpaste on the market here in Thailand. @christao408 – yeah, we probably do too, but I think I automatically skip over anything with a supposed fruit flavor (ew). I’m a toothpaste traditionalist so it’s pretty simple for me. 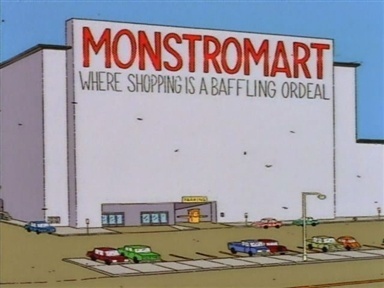 On the other hand, I can’t shop in a department store for clothing. It is completely overwhelming. I like to go to separate stores for each of the department store elements…shoes, accessories, clothes, makeup, etcetera. But I can do that, because I have choices. HA. This is really interesting. Anyone that knows me in real life can tell you how hard it is for me to make a decision. It’s in my nature to really ruminate on my choices before I actually decide. I don’t mean to be difficult but it just seems to take me a long time to decide what I want. This is really thought provoking. It is so true about the first generation american children of people from different countries and different cultures. Choice was made for the children by the parents and continues to be made. I have seen catastrophic end results with some choices. Fortunately there are some who know how to say NO. Very good post, Chris. Excellent post! I do like your conclusion – there is no one right way to live. Exactly. And once we lose the idea that “we” own the right way and that all others are doing it wrong, the more tolerance and good will there will be in the world – and I can only hope more peace! If you found this article interesting, I came across another article that addresses the issue of choice through a very different lens: parenting styles. This Wall Street Journal column is by Amy Chua and is titled Why Chinese Mothers Are Superior. Interesting read! @TheCheshireGrins – I was thinking of your experience working at a coffee shop and was wondering how different all those variations of an espresso drink really are or aren’t. Perhaps easier to be making the drinks than having to choose which one to buy! 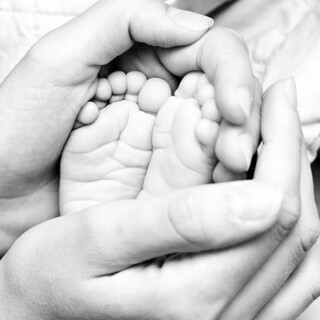 @ZSA_MD – How would you describe the way you and M raised your children in terms of making choices? Did you give them a lot of freedom of choice or did you drive their choices for them? @yang1815 – Glad you liked it, Andy. @ItsWhatEyeKnow – I completely agree that we can become so overwhelmed with choices that we cease to function effectively. @Fatcat723 – It is sort of the opposite of a virtuous cycle, isn’t it? @murisopsis – There is a really interesting discussion to be had about that idea of there being no one right way to live. It occurs to me that those who are naturally more conservative may tend to reject that conclusion. In their perspective, there most certainly is one right way to live – their way! How do we foster the needed open-mindedness in a way that addresses the fear conservatives (generically speaking) have of slipping into moral relativism? @christao408 – M and I were very open with both of them. My children saw how hard I worked. Saw me leave the dining table many a night to go to the ER. So right from the beginning they told us that they do not have the dedication or the strength to be a physician. We never made a choice for them. She wanted to teach, always, and we just showed her the way. He is such a phenomenal athelete, ( tennis ), so we figured that he will someday be playing professional tennis. God knows how many recruiters would hover around the courts where he played. But once he went to college, he refused the scholarship and went into finance. He still plays a lot of tennis and golf, but he loves his work. So, we didn’t choose any field for our children. But I know many families, in fact almost all our friends who did. One such family lost their son. He didn’t want to be a doctor, but he was brilliant in his studies. All he wanted to do was computer science. He got into the Southern Illinois Medical School. Two days after the parents got him settled in his room, he commited suicide by hanging himself. The community still reels with that tragedy. @christao408 – The drinks aren’t that different. It’s basically how much milk and flavors you put in that changes an espresso to a cappucino (espresso, 1/3 milk, foam to taste) to a caramel macchiato (espresso, 2/3 milk, vanilla and caramel syrups). Very interesting topic. I had read the article Why Chinese Mothers Are Superior just two days ago. As a Chinese mother, I have to say I do not agree with Amy Chua. She painted extremes in both Western and Chinese parenting styles but most of us fall somewhere in between. We do not have to choose one at the expense of the other. As for choice of toothpaste…I buy the ones on offer! Interesting. I haven’t had a chance to watch it yet but your summary of it is very thought-provoking. Thank you so much for sharing this. I will have to come back later and watch her speech. i like this. it gets me thinking. i am always a big believe that having a choice, even the bad ones, matter more than not having a choice at all, even if you’re getting the best one. i guess i have let the american state of mind took rule over my brain in those years living there. not to say it’s bad in any way. i’m still pro-choice. but now i see it slightly differently. i guess i’ve always understood the difference, having to live in different countries and have my ways changed constantly to accommodate different cultures, but never had i really thought through it, the way she explains it.on a down side, i never had much of a choice in who i should be as a person during the years of growing up. i was told what kind of person i should be and the kind of things i should do later in life. that maybe what hindered my ability to truly come on top of anything i have involved myself in. i have always wondered how different of a person i could be if i was given a world of choices in anything and everything. @ThePrince – Considering how many people don’t have the opportunity to be challenged with new thoughts or ideas regularly, I have no doubt that you’re able to boss your friends around more now that you’ve watched a few TED speeches! LOL@LADYLILYTHAO – You’re very welcome. @icepearlz – Oh, you know, I just read an interview with the author of that Wall Street Journal piece, Amy Chua, and she says the WSJ took the excerpts from her book totally out of context and created a column that doesn’t accurately represent the story her book tells. Now I’m particularly curious to read her book. @ZSA_MD – Oh, that’s a terrible story. I’m so sorry to hear that! I wanted to save this entry for the weekend when I would have more time. But my work laptop is screaming for my attention, the washing machine is crying for me, the soup pot is burbling away and the sink is slowly filling up with dirty dishes. It’s interesting that you referenced the Amy Chua article. That came to mind as I read your entry. I think if the choice was made by someone we trusted, our level of stress comes down a bit. On the other hand, if we made the decision, maybe we continue to second guess ourselves and wondered if we made the right decision. If I remember correctly, there are retailers that are cutting down on the amount of choices in their shelves so that customers can buy more. Some folks just seem to be paralyzed by the amount of choice.I think Ms. Iyengar’s conclusion applies not just to Americans but to everyone. @ElusiveWords – The Amy Chua article (or mis-represented article, as she is now claiming) seemed a natural fit with Ms. Iyengar’s speech. I agree that her points are broadly applicable, although the three assumptions she lists are definitely more pervasive in America and, to a somewhat lesser extent, elsewhere in the West.